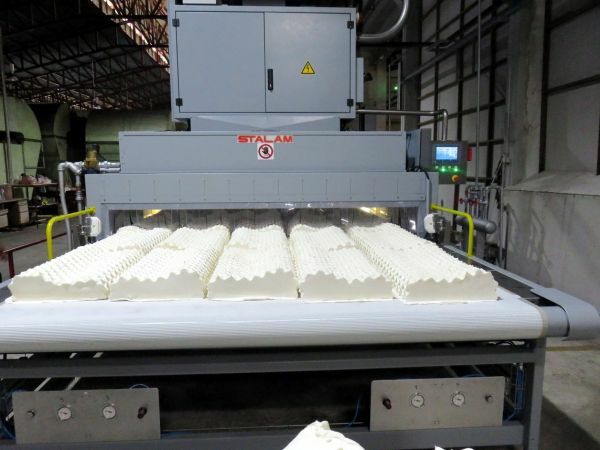 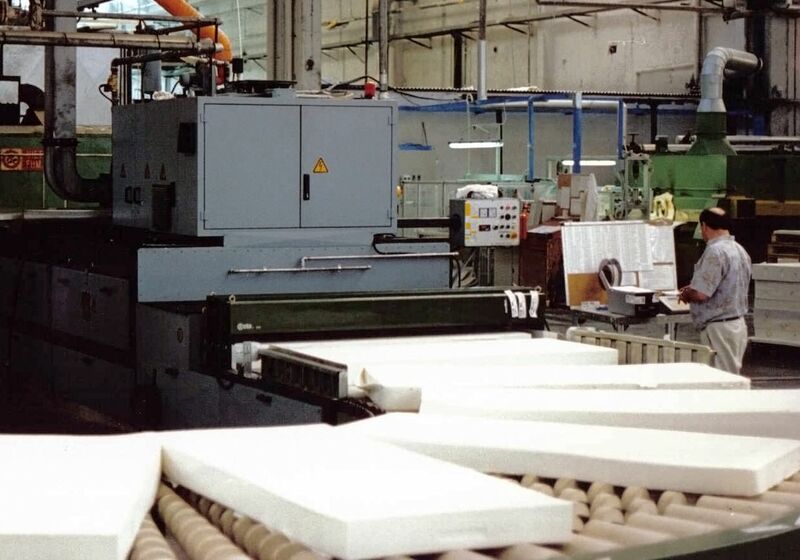 In the past 30 years Stalam has developed and supplied a large number of RF dryers featuring specific technical solutions for natural or synthetic latex products (mainly mattress cores, pillows, anatomic seats and continuous sheet) after vulcanising, washing and squeezing or centrifugal hydroextraction, highly hydrophilic polyurethane foam after wet casting for health-care and medical uses, and other high-porosity polymeric substrates. 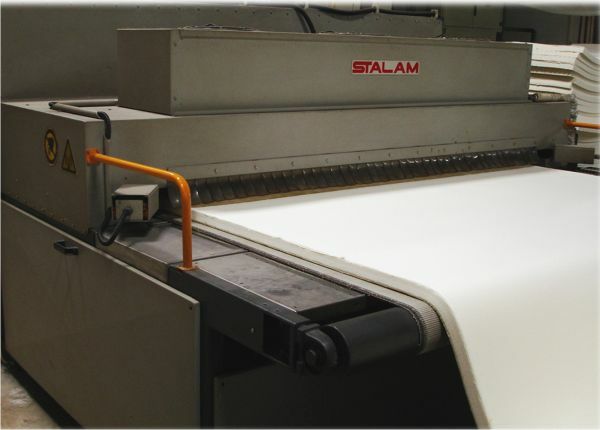 Stalam machines can accomplish the entire drying process or work in conjunction with existing tunnel or cabinet type hot air dryers (ie. 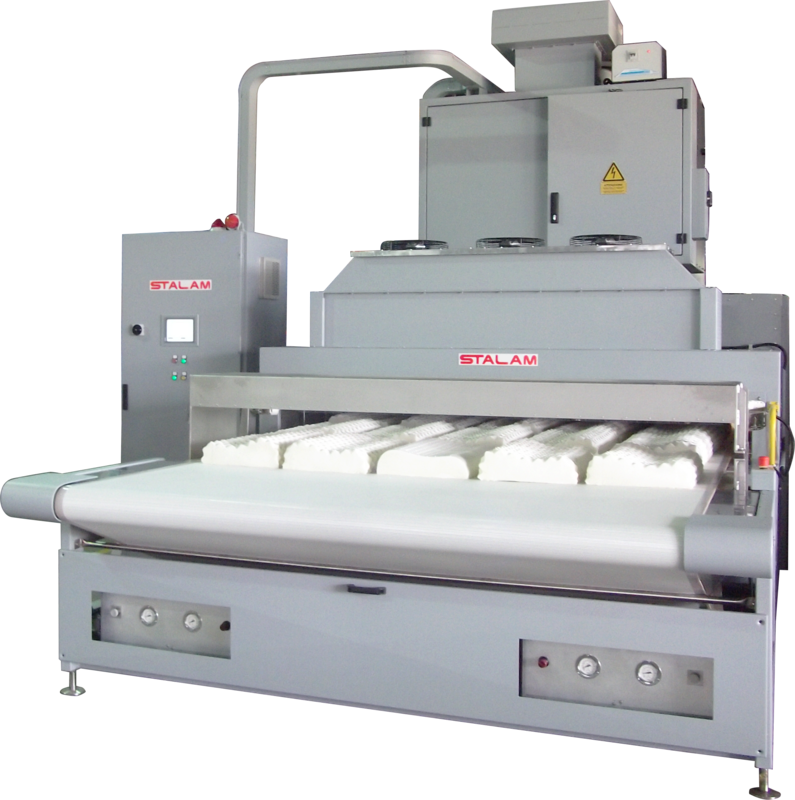 for partial drying) to increase the capacity (speed) of the production line, maximise the energy efficiency and, especially, improve the quality of the end product.